What if you are treated badly at a clinic? Long hours and staff shortages mean that nurses or others at the clinic might treat you badly. They might be tired or have seen many other patients before they see you. Others might just be rude because there is a culture of rudeness at that clinic. Some nurses may give you a hard time and ask questions about why you are there. Try not to take it personally, stay confident and get your questions answered. You are there for your health and you have rights. It’s not okay for you to be turned away from a clinic because they say they cannot help you. It is your right to make sure you are seen. Feel confident about doing this. 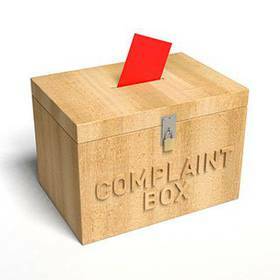 If you want to complain, find the complaints box at the clinic (there should be one!). You can also complain to the head of the department in which you are being treated. They should have the department name and telephone number on the door. In the event that it was the person in charge that treated you badly, you can see the Sister in Charge at the health facility. In some rural health facilities, you can also talk to the chairperson of the ASRH Committee (who is a member of the community) or if you still have trouble, the District Nursing Office (DNO) can help you. You can also get help from a Civil Society Organisation that supports youth. They will help you lay a complaint. It is not okay for you to be treated badly. You have the right to treatment and can stand up for that right. If it is ignored, make a complaint.